We are a family friendly practice who sees children as young as 6 months of age. We focus on preventative dentistry and good oral hygiene habits from a young age to create life-long great dental patients. It's recommended that you bring your baby in to West Ridgewood Dental for a visit within six months of the first tooth's eruption which would usually be around his or her first birthday. We can even coordinate this appointment with your routine dental visit. Since decay can occur in even the smallest of teeth, the earlier your baby visits us, the more likely he or she is to avoid dental problems. We'll look for any signs of early potential problems with your baby's oral health, and teach you the best way to care for your little one's teeth. Remember that preparing for each dental visit with a positive attitude goes a long way toward making your child comfortable with regular checkups. 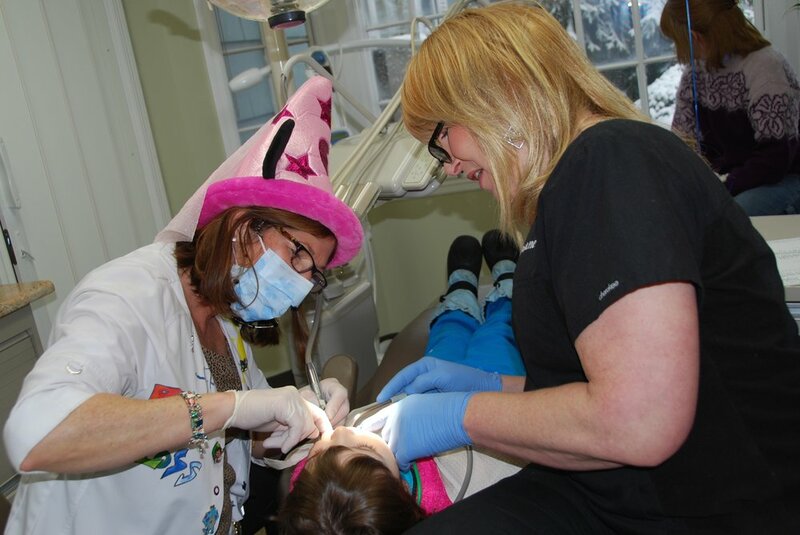 These early visit allow for a positive and fun association when coming to the dentist. As part of the natural learning process, little ones are expert mimics, and you can take advantage of this process. Brush and floss daily while your child is watching, and they will see the importance of your good habits. As soon as your child shows interest, offer a toothbrush of his or her own and encourage your toddler to “brush” with you. Most children don't have the dexterity necessary to thoroughly clean their own teeth until they're about six or seven, so you will still have to brush their teeth twice a day for them. Try to make brushing fun; flavored toothpaste, a toothbrush with a favorite character on it, or singing songs while brushing. The primary goal is to instill healthy oral habits at an early age to set your child up for a lifetime of healthy, cavity-free teeth!